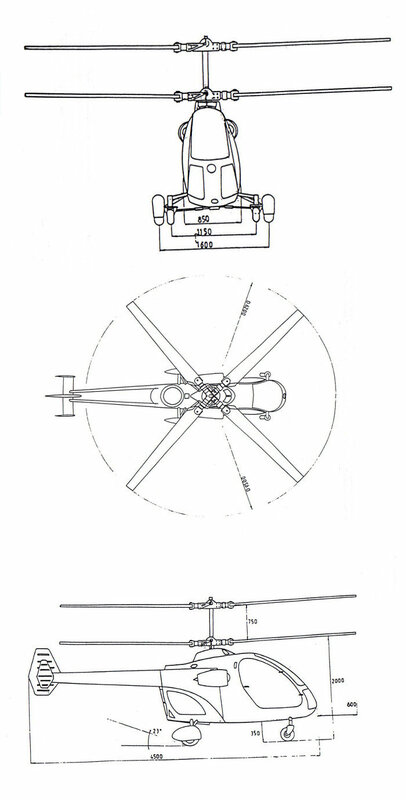 The KX165 is a light coaxial helicopter developed by Mr. Sandor Diosi of Dioferr Ltd. The helicopter was exhibited in 2009 and was intended to be available for purchase from 2010 onwards. This single-seater, all metal helicopter is powered by a modified Subaru EJ25i engine, which can output either 165 or 176 horsepower. A two-seater, the KX170 was also announced using the same power plant. Do you want to comment the Sandor Diosi Diora KX165 Icepick helicopter?